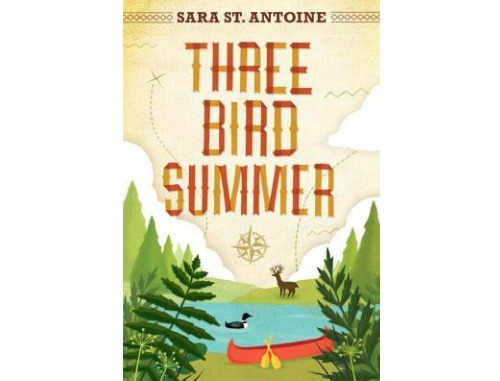 An introspective boy and an adventurous girl uncover a poignant family mystery during a summer on the shores of Three Bird Lake. For as long as he can remember, Adam and his parents have spent their summers at his grandmother’s rustic cabin on Three Bird Lake. But this year will be different. There will be no rowdy cousins running around tormenting Adam. There will be no Uncle John or Aunt Jean. And there'll be no Dad to fight with Mom. This year, the lake will belong just to Adam. But then Adam meets Alice, the girl next door, who seems to want to become friends. Alice looks just like the aloof, popular girls back home—what could he and she possibly have in common? Turns out, Alice isn't like the girls back home. She's frank, funny, and eager for adventure. And when Adam's grandma starts to leave strange notes in his room—notes that hint at a hidden treasure somewhere at the lake and a love from long ago—Alice is the one person he can rely on to help solve the mysteries of Three Bird Lake.